Locked Out of Your Car in Fort Worth, TX? If you find yourself the unfortunate victim of regular car lockouts, then you know how the drill works. You call up the mobile locksmiths and proceed to wait for hours on end until they show up. As a result, you end up missing important meetings and are late to appointments. Plus, you are often charged an outrageous fee on top of everything else. However, that will not be the case if you choose to call Fort Worth Locksmith Pros. Our trusted team has 5+ years of experience in the locksmith business. We are a complete locksmith service for Fort Worth, TX and surrounding cities. Our expert technicians are on call 24/7, and they offer fast and friendly service with a maximum 30 min response time. We work hard to hire the best team possible so that you will never have to wait for our automotive locksmiths. In addition, our upfront pricing is very clear from the start. You will never be charged for something you did not want. More importantly, we won’t start on any work until you are clear about pricing. Fort Worth Locksmith Pros is the answer to all of your vehicle’s locksmith needs. In addition to offering a fast and friendly, 24/7 locksmith service in Fort Worth, we offer car key replacement for all makes and models. It does not matter if you have a foreign or domestic car because our pros can handle it all! We can have a new key for you in minutes. Other automotive locksmith businesses may offer this service, but our prices are the most competitive and our service, the most high quality. Each of our keys is made of durable material that is designed to last. These are not flimsy keys that will get stuck in the locks; rather, they will move in and out with ease. Cheap keys are bound to break, but ours are expertly made with quality metals. 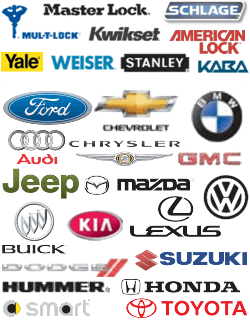 If you ever find yourself in need of a new car fob/remote or key, then you will appreciate our easy service and great keys. There is nothing more annoying than locking your keys inside the car when you have things to do and places to be. We understand your pain, and we have worked hard to ensure our business gets you back on track. Our Fort Worth locksmiths are licensed, bonded, and insured, and our 5+ years of experience means that we know what we’re doing. Our expert technicians and mobile locksmiths love their job. Car lockouts are not fun, but our fast and friendly team members hope to put a smile on your face the moment they arrive. This makes them easy to work with and a pleasure to call again when you need a complete locksmith service. Fort Worth, TX and surrounding cities, then we are the ideal company for all of your automotive locksmith service needs. Car Lockouts, Key Replacements, Oh My! The region around Fort Worth, TX and surrounding areas are full of 24/7 locksmith service companies that are eager to get your business. However, our team offers the best upfront pricing when it comes to car lockouts. It does not hurt that we are licensed, bonded, and insured with an average 30 min response time too. There is no reason why you should wait hours to have your car doors unlocked. 5+ years of experience in this business has taught us everything we know about this industry. We know what the customer needs and wants when it comes to a locksmith business, and we plan to offer exactly that. Feel free to contact us with any questions or queries about auto locksmith services or any other locksmith services 24/7. 24H Assistance for Car Lockouts http://locksmithftworthtx.com/car-lockouts/ 3.6/5 based upon 9 reviews.